Apps can be great tools to have a first hand taste of mindfulness, and support and deepen one’s practice in daily life. 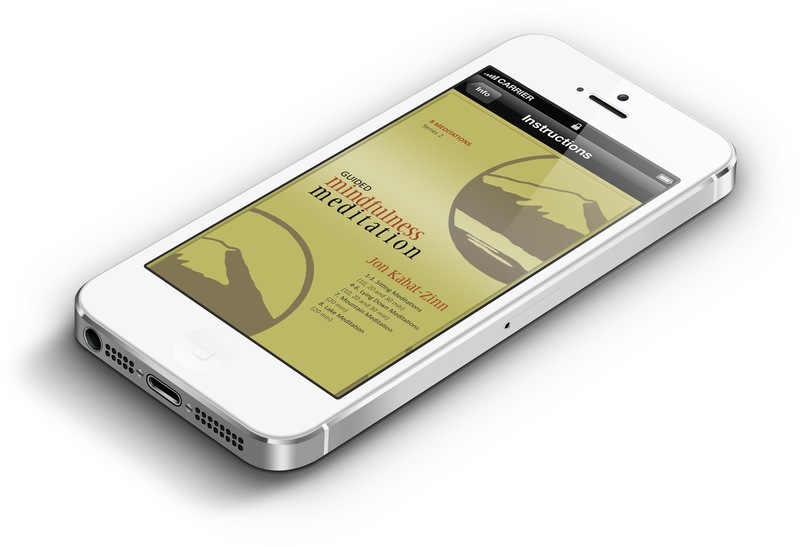 We highly recommend the popular Series 1-3 apps by the mindfulness pioneer Jon Kabat-Zinn. Find out more below or at MindfulnessApps.com. 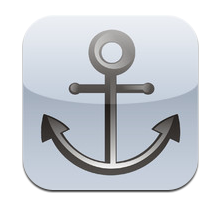 Andries J Kroese’s app The Breathing Anchor is available both in English and Norwegian (see below). The meditations on the Series 1 app constitute the core practice curriculum of mindfulness-based stress reduction (MBSR). Hundreds of thousands or even millions of people have used these programs either alone or in conjunction with the book Full Catastrophe Living to develop and sustain a mindfulness practice, and to benefit from its stress reducing and transformational potential when practiced regularly. 1. Body Scan Meditation (45 minutes). 2. Mindful Yoga 1 (45 minutes): A gentle sequence of mindful yoga which help build strength, balance, and flexibility. 3. Sitting Meditation (40 minutes). A different sequence of mindful hatha yoga postures, including many done standing.Search for “JKZSeries1” in your phone’s app store. The practices in the Series 2 app were developed and recorded by Dr. Jon Kabat-Zinn to accompany his bestselling book Wherever You Go, There You Are: Mindfulness Meditation in Everyday Life (2004). Track 1-3. Sitting meditations (10, 20 and 30 minutes). Track 4-6. Lying down meditations (10, 20 and 30 minutes). Track 7. Mountain Meditation (20 minutes). Track 8. Lake Meditation (20 minutes). Search for “JKZSeries2” in your phone’s app store. The meditations in the Series 3 app were developed and recorded by Dr. Jon Kabat-Zinn to accompany his book Coming to Our Senses: Healing Ourselves and the World Through Mindfulness. After almost 10 years in the form of CDs, these meditations are now available in the Series 3 app. 1. Breathscape Meditation (20 min). 2. Bodyscape Meditation (20 min). 3. Breathscape and Bodyscape – More Silence (20 min). 4. Soundscape Meditation (27 min). 5. Mindscape Meditation (20 min). 6. Dying Before You Die (30 min). 7. Nowscape (Choiceless Awareness) Meditation (30 min). 8. Walking Meditation (10 min). 9. Heartscape (Lovingkindness) Meditation (47 min). 10. Lifescape (Everyday Life) Meditation (12 min). Search for “JKZSeries3” in your phone’s app store. By using The Breathing Anchor app you can participate in Mindfulness Training (MT) according to Andries J. Kroese, and learn how to reprogram the brain from negative thoughts and habits to a more stress reducing lifestyle. MT is a self-developing process where we become aware of our thoughts, feelings and behavior. With MT we practice to accept the waves of life, instead of rejecting them. We learn how to surf on the waves and using their energy to get into the flow of life. The key to this is living in the now, from moment to moment. To be able to keep our balance in stormy weather, we have to set aside time to practice. 2. Mindfulness meditation: 23.42 min. 3. Body scan meditation: 18.04 min. 4. Mindful yoga: 24.11 min. 5. Mindfulness in daily life: 3.55 min. 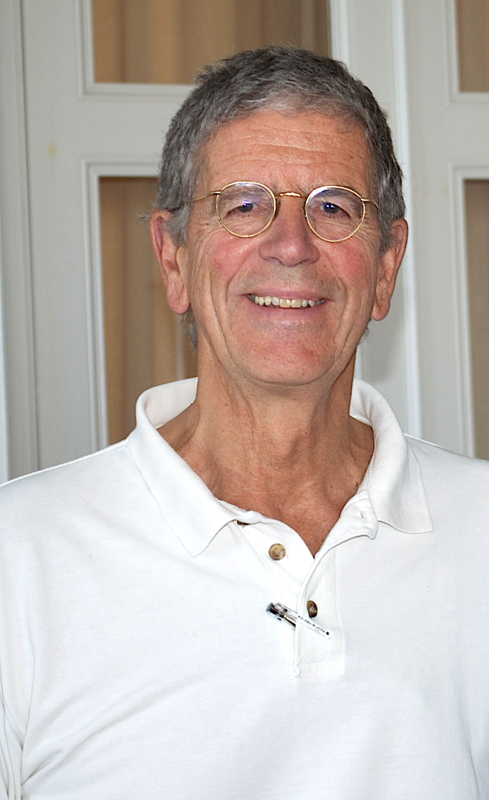 Andries J Kroese is a retired professor of vascular surgery, University of Oslo, Norway. More information: Scandinavian Centre for Awareness Training.